Spacious and elegant the MAAX Cocoon 6636 bathtub features soft curves and is designed for maximum comfort. Designed for drop-in or alcove installation this tub features a large bathing well, an ergonomic headrest, as well as built-in armrests which all contribute to the comfortable experience. Spacious and elegant the MAAX Cocoon 6636 microjet whirlpool tub features soft curves and is designed for maximum comfort. Strategically placed microjets provide an encompassing massage you will want to enjoy every day. Control the intensity of the jets, from very gentle to very strong. Designed for drop-in or alcove installation this tub features a large bathing well, an ergonomic headrest, as well as built-in armrests which all contribute to the comfortable experience. This tub will be a definite eye catcher in your newly renovated bathroom. 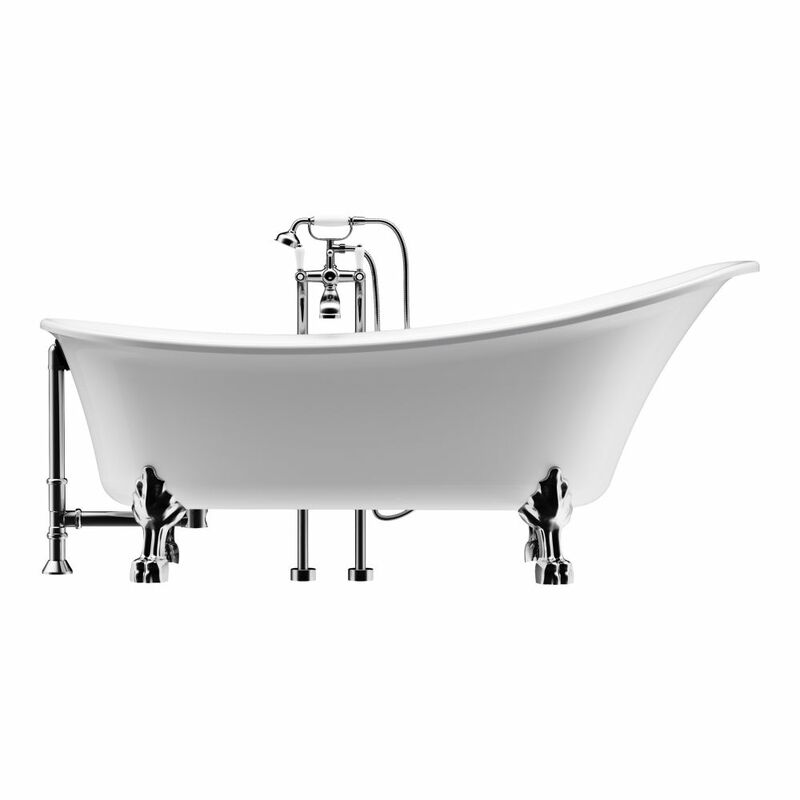 Achilles 69 inch Acrylic Ball and Clawfoot Slipper Non-Whirlpool Bathtub in White All-in-One Kit The elegant aesthetic of an antique claw foot bathtub meets the convenience of modern amenities. Pure white acrylic construction is easy to clean and cUPC certified. The chrome lion feet are the perfect complement to the sophisticated faucet and coveted handheld shower. The angled backrests allow for versatile installation. Overflow drain is included. Achilles 69 inch Acrylic Ball and Clawfoot Slipper Non-Whirlpool Bathtub in White All-in-One Kit is rated 4.0 out of 5 by 2. Rated 3 out of 5 by Steven from It’s ok Like the look of it but it’s a little small for me, however I am 6’5” so no real surprise. It looks beautiful except that the floor clamps are visible and the claw feet do not fit perfectly against the side of the tub, so there is a gap. Very easy to install though. Rated 5 out of 5 by WU from The tub was beautiful. It meets all expectations. The tub was beautiful. It meets all expectations.